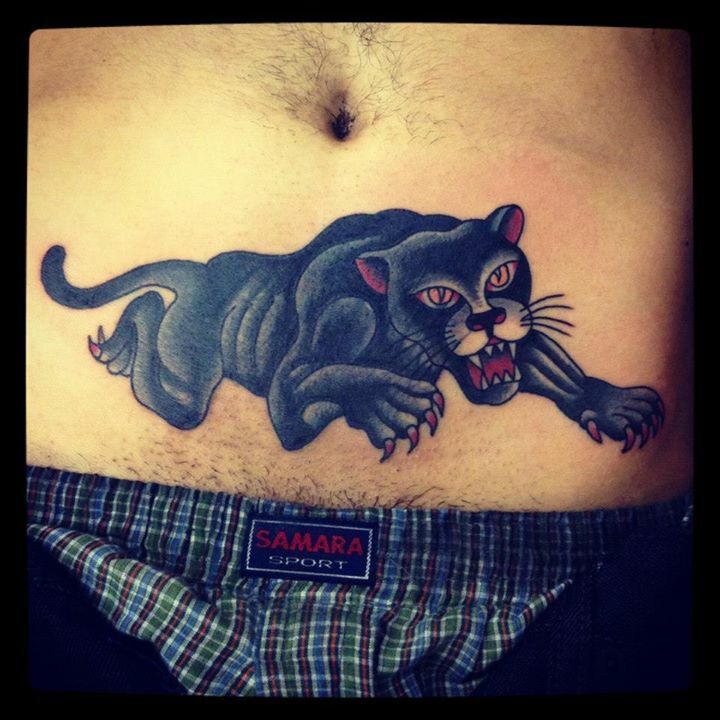 The black panther tattoo is one of the most identifiable images in the history of traditional tattooing. 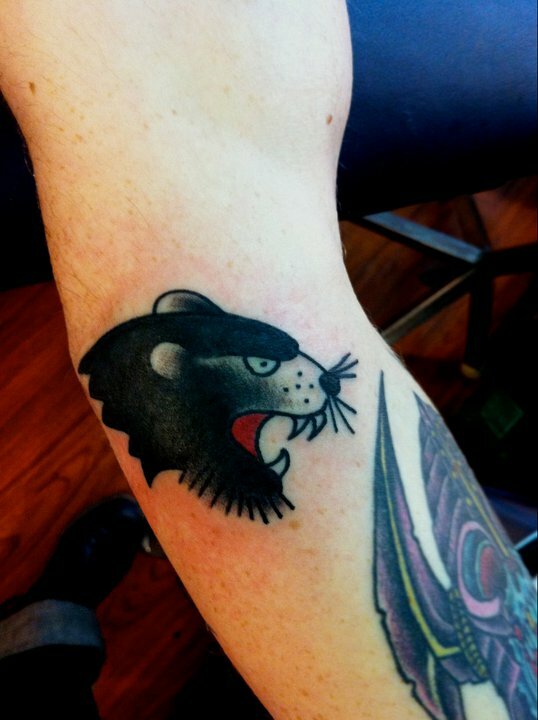 A testament to the old adage that “bold will hold,” it doesn’t get much more basic, simple and stunning than a traditional, old school panther tattoo straight off the flash wall. 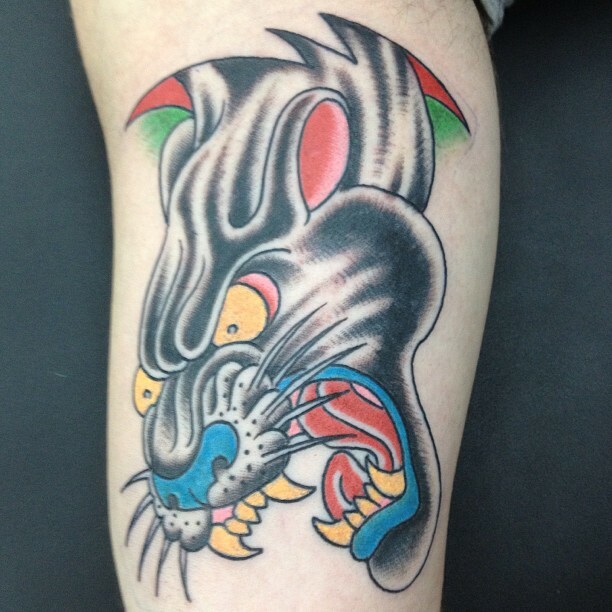 Don Ed Hardy has one of the most recognizable traditional panther tattoos out there. In fact, he even traced the lineage back to an Asian book of legends. “It’s like the earth moved,” he says, discussing when he first saw the panther in the old book. While Hardy started seeing panthers on people in the mid-1950s, it was when he saw a Bob Shaw (who trained under Bert Grimm, featured in this earlier article) piece converting the panther to a tiger that he really became inspired. It was one of the first times he considered how minor changes to a tattoo can make a big difference. Since then, Hardy has made werepanthers, robotic panthers, panthers crossed with roses, panthers as battlefield nurses and panthers praying to butterflies. It was the first design that really clicked in his mind as something adaptable. Still, throughout the 60s and 70s, it just wasn’t that popular of a design motif, with customers preferring black and gray or Asian-style tattoos over American traditional. Hardy found that the first people to really pick up the design were Japanese men in the rockabilly scene. 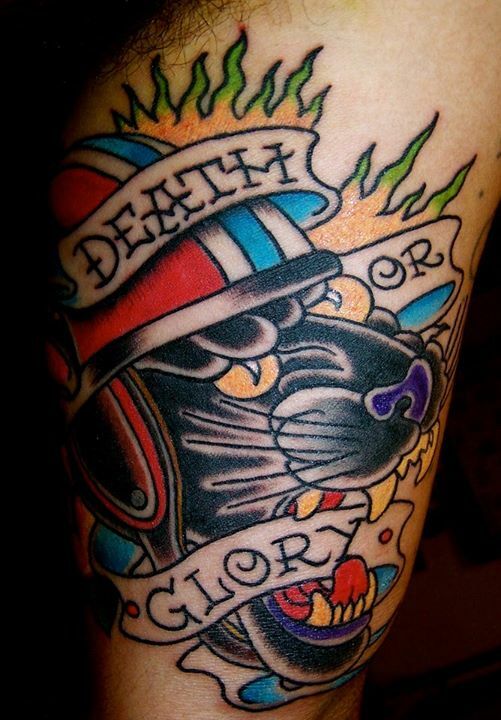 Initially, he considered Japan too traditional for American traditional tattoo flash to really take off. Fortunately, Hardy was wrong, allowing him to make big bucks tattooing overseas, preserving this tattoo legacy for generations to come.